Auctioneer Christie’s, which sold the unique statue of the Egyptian Scribe Sekhemka for the World Record Price of £15.76 million, on 10 July, today confirmed that the buyer of the statue, which had been on public display for over one hundred years in Northampton Museum, was a Private Collector. Christie’s added that the buyer “wants to remain private.” The news came in an e-mail from Mr William Robinson, Christie’s International Head of Group, World Art, and was greeted with fury by the Northampton based “Save Our Sekhemka Action Group” who had asked the auctioneer to identify the buyer. A spokesperson for the group told Heritage Daily. The news that the internationally important funerary statue, dating back four and a half thousand years to the Egyptian Old Kingdom, has, for the time being at least, vanished into a private collection is also likely to infuriate the International community of archaeologists, Egyptologists and museum professionals which had campaigned against the sale. The campaigners had argued that the sale by Northampton Borough Council, in partnership with the Marquis of Northampton, was both an “unethical” betrayal of international museum practice and a tasteless commercialisation of Egyptian culture. A view shared by the Egyptian Government which also protested against the sale, as well as by the famous graphic novelist Alan Moore who told the BBC the sale was a “gross betrayal of trust,” which would result in his never again donating anything to the museum of his Home Town. The Paris based “International Council of Museums” [ICOM] also pointed out that the high profile sale of such a valuable object risked encouraging the theft, looting and trafficking of other antiquities. “This looks like the worst possible outcome for the world of Egyptology, not just the people of Northampton who have been robbed in broad daylight of the jewel in the crown of their museum by a shadowy, unaccountable partnership between their own political leaders and one of the richest men in Britain, the Marquis of Northampton. “This news makes it all the more important that Arts Council England and the Museums Association demonstrate the consequences of such unethical and damaging actions as selling publicly owned museum objects for short term profit, and punish Northampton Council by removing their Accredited status. 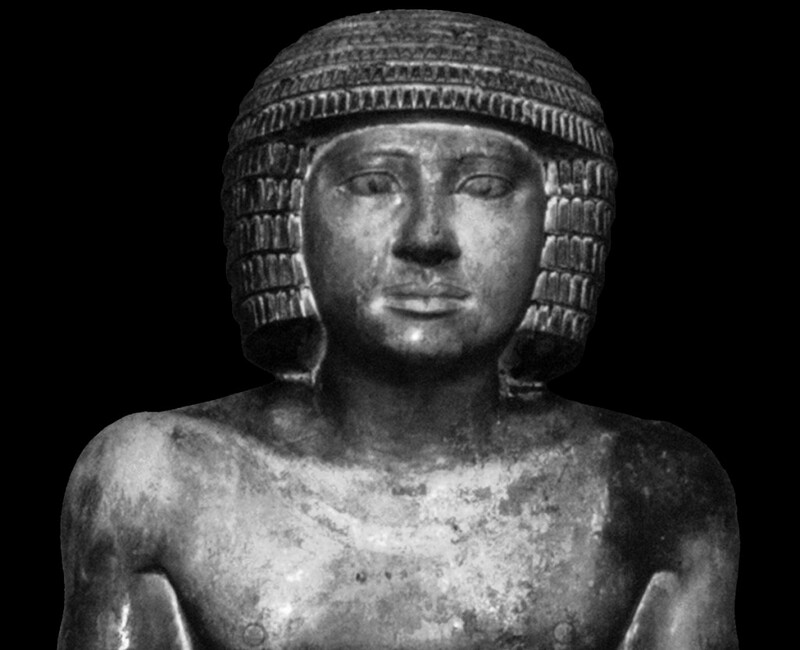 The critics of the sale of Sekhemka argue the only person to genuinely benefit from the sale is the Marquis of Northampton who received 45% of the proceeds of the sale, or some £6 million; although Northampton Borough Council point out he announced the donation of £1 million to local cultural good causes the morning after the sale. Some critics of the profit share arrangement, arrived at to facilitate the sale by Northampton Council’s legal advisors, argue that the Marquis may even have been the genuine owner of the statue thanks to a 19th century Deed of Gift by which the Compton family appears to retain ownership rights on objects donated to Northampton Museum by the Marquis’s Great Grandfather. A situation which is contrary to statements from Northampton Borough Council and Christie’s, both of whom repeatedly stated that the Council was the owner and seller.